First of all, I want to say that I adore Jyotish and the goddess called the Jyotir Vidya. I have been doing Jyotish for about 30 years and have done thousands of charts in that time. Here are my thoughts on the uses and abuses of Jyotish. The greatest thing in a human being is his/her soul, also called by some people the Higher Self or the Atman (means soul in Sanskrit). And there is an expression in Sanskrit that "Atman is Brahman". In other words, at the deepest level, the individual soul is one with the great Cosmic Soul/Mind of the Universe: that which was never born and will never die. I believe that our own soul is the greatest guide in our life. 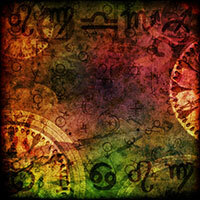 Astrology is a wonderful tool, but it is only a tool. It is not a guru. We should primarily be guided by our soul (including the Heart and Mind) and NOT by our Jyotish chart. What is a Jyotish chart? To me, a Jyotish chart is a combination of a bookkeeper's ledger and the booklet giving the betting odds at a horse race. It is a ledger because it shows how much money (karmic debts) we owe and how much money (good karma) is owed to us. Also, it tells us when we have to make big payments on our debts and when we can expect big Support of Nature based on some of our good deeds in this life and from past lives. The Jyotish chart gives the betting odds because it helps us determine how likely it is that we will be an Olympic runner, or a successful artist, or become a billionaire. For me, that is pretty much it. So many clients seem to want a personal guru or someone to tell them what to do. Many of them make Jyotish into a pseudo Guru. This is a gross misuse of astrology. As the old saying goes, "I am the master of my fate, I am the captain of my Soul." Jyotish is NOT the Captain of Your Soul. Concerning Jyotish compatibilities, the kuta points (a maximum of 36 points based on the Moon in the 2 charts) count for no more than 10% of possible compatibility. Some decades ago, I studied for a week or 2 with one of India's most famous jyotishis. I said to him, "Sir, I think that the kutas do not count for more than 20% of compatibility." He said, "10 percent." Furthermore, if one feels no chemistry with a prospective mate, forget astrology. There is an ancient Jyotish text that says: if on first meeting, the boy and the girl absolutely adore each other, forget astrology. God lives in our Souls. That is where the Inner Guru resides, not in the Jyotish chart. Do NOT marry someone just because the Jyotish compatibility looks great. Marry them because of Love and deep ease in being with each other. Now, after happily dating someone for at least 6 months or, preferably 1 year, that is the time to examine the 2 charts to see future strengths and weaknesses. Use your brain, use your Heart, and, primarily, use Your Soul to guide you. Jyotish is thing of Duality, of Maya. If one attains the highest level of Enlightenment, called by some Unity Consciousness, one is above and beyond Maya or Illusion. That also means that one is largely beyond the reach of Jyotish. Jyotish is mostly about karma - both good and bad. Those who are enlightened have paid off all of their karmas. For Enlightened people, Jyotish may have some use for picking certain days to get married, to travel, to invest one's money, or to begin a trip around the world. But, in my opinion anyway, that is pretty much it.